No one likes brown apples. Sure, it’s perfectly natural, but it can kill an appetite. But dig in your pantry. You probably have an ingredient that can banish brown fruit forever. 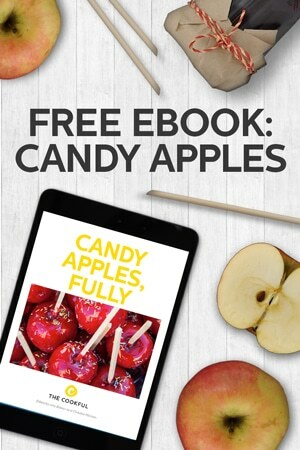 Brown apples is not an issue for candy apples. 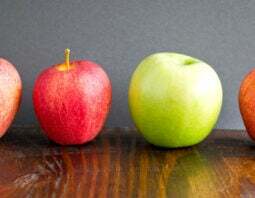 The apples never get sliced and never get the chance to turn brown. 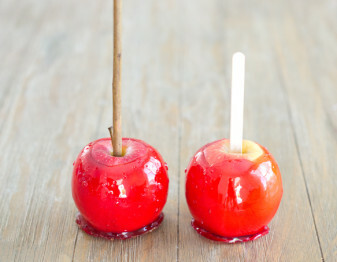 So why are we telling you about this here in our Candy Apple topic? Because we have some recipes coming up in the days ahead that use sliced apples. One is for Caramel Apple Nachos and one is for Caramel Apple Slices. Haha! I bet you want to see those right now! Hold your horses! They’re coming. 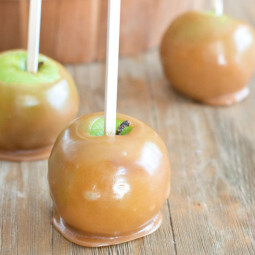 First, here are our tips for preventing brown apples. These tips are for slicing apples ahead of time to have in your fridge when you’re ready for them. 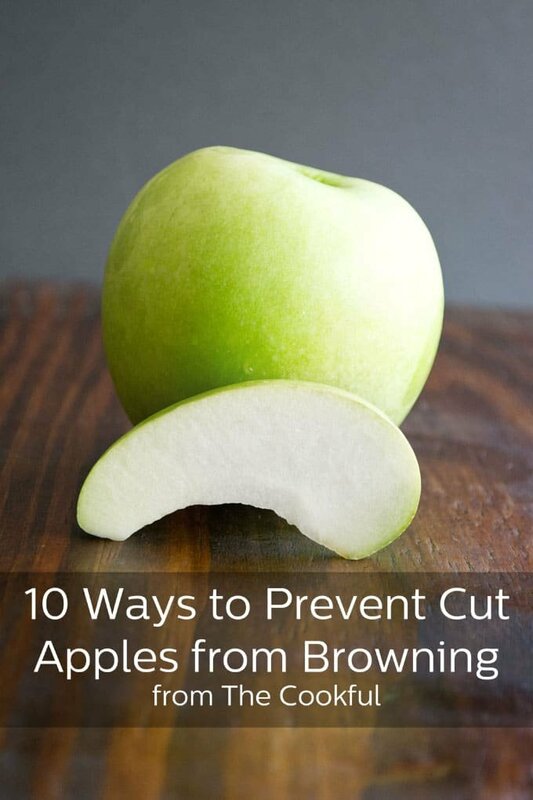 Most of the solutions will work to keep apples unbrown once drained and served as well. See the bonus tip at the bottom for that info. Oh, and FYI, cut apples can stay fresh for up to a week if kept in one of these solutions. 1. Mix 1 tablespoon of lemon juice into 1 cup of cold water. Keep your apples in the solution until ready to use. 2. Dissolve 1/2 teaspoon of salt into 1 quart of water. 3. Have an extra can of 7-Up? You can keep your apple slices in clear soda to keep them from browning. 4. Fruit Fresh is citric acid powder that is marketed to prevent browning. Dissolve 1 teaspoon of it into 1 cup of water. 5. Honey water works too. Mix 2 tablespoons of honey with 1 cup of water. 6. You can use a chewable vitamin C tablet. Add the vitamin tablet to 1 cup water. 7. 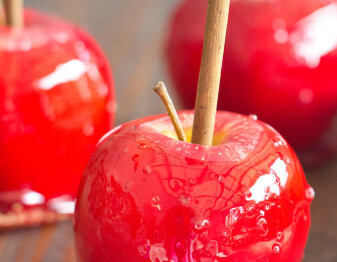 Soak the apples in a combination 1/2 cup apple cider and 1/4 cup lemon juice. 8. Use pineapple juice. You can also add 1 tablespoon of lemon juice to 1 cup of pineapple juice. 9. Soak them in carbonated water. 10. Or there’s water. Old-fashioned plain water. Seriously. Prevent sliced apples from browning by keeping them in cold water. Drain when ready to use. 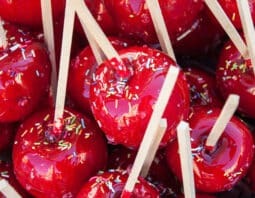 Bonus tip: If you’re entertaining and want perfect apples, go ahead and use any of these tips, except for numbers 9 and 10. Keep your sliced apples in the mixtures for a few minutes. Remove and put in a Ziploc bag until you’re ready to plate. This article originally appeared in October, 2015 and was revised and republished in September, 2016. How long should the apples soak in the salt water? Will they stay “unbrowned” after rinsing off the salt water?